Are you a photographer ? If you are a photographer and looking for the best photography apps for your iPhone, this article can help you find the best photography apps for your iPhone and other iDevices. In this article, we've listed some very useful photography apps which come with tons of camera effects. Some of these apps also allow users to edit and retouch their photographs for professional touch. Okay here is the list. 1. 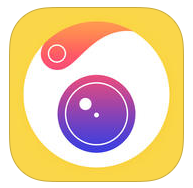 PicZone ( For #iPhone & iPad ) - PicZone is one of the best photography apps for iPhone users that comes with lots of photo filters, effects and some powerful editing options. 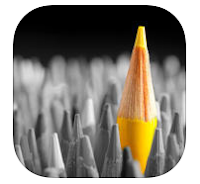 PicZone lets you apply professional photo effects, create freefrom photo collages with unlimited photos, use selection tool for adjustments and other image editing tasks, create painting effects and more. With the help of PicZone, you can turn your simple photos into extra ordinary photographs like professionals. 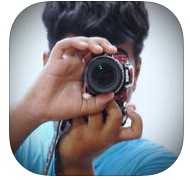 Very useful photography app that includes lots of useful editing functions such as filter tool, visual effects, photo enhancer , photo sticker tool, emoticons, photo cropping option and many other features. 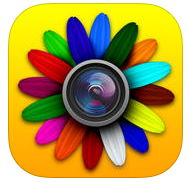 Recommended photography app for iPhone & iPad users. 2. Camera360 Ultimate ( For iPhone Only ) - Camera360 Ultimate is a powerful camera application that comes with a useful photo editing tool. 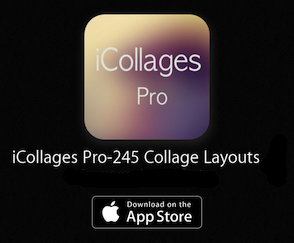 The app comes with tons of amazing photo effects and lots of useful image editing options. The app lets you shoot amazing photographs like professionals. The app is currently available free of cost on the App store. You can access more than 200 photo filter effects, use photo editing tool to edit and retouch your photos, apply skin toning effects to make your face more attractive and use powerful camera filters to shoot photos like pro. Great photography apps for creative iPhone users. 3. Hipstamatic ( iPhone ) - Hipstamatic is a great photography app for iPhone device that allows you to take photos like professional. Hipstamatic is a camera app that lets you choose different type of photo effects, lenses and flashes for professional shooting. The app also helps you share your beautiful photographs with your friends using social networks like Facebook, Twitter , Instagram and more. Recommended app for shooting projects. 4. 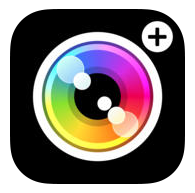 Camera + ( iPhone ) - Camera + is one of the best photography apps for iPhone that helps you shoot beautiful photographs. The app includes tons of amazing filters and other options such as different types of focuses and camera effects, image cropping tool, sharing option, beautiful borders, lots of scene modes, shooting effects, exposure and more. 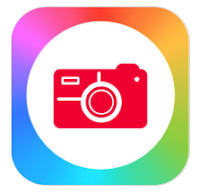 Very useful camera app to shoot photos like professionals. 5. 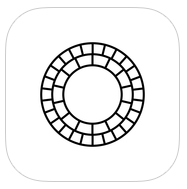 VSCO Cam ( For iPhone & iPad ) - VSCO Cam is one of the most popular mobile photography apps on the App store that lets iPhone and iPad users shoot photos like professionals. With this app, you can capture high quality photos , edit them and apply beautiful photo effects to make your photos more attractive. VSCO Cam comes with some unique features which make your photography more professional. In this app, you can find some useful functions such as before-after feature, exposure tool, powerful tool for searching people, journal and photos, shopping option to buy effects and useful photography tools. 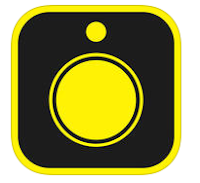 Very useful photography app for iOS users. 6. FX Photo Studio ( iPhone Only ) - FX Photo Studio is a premium photo app that comes with tons of photo effects and other useful photo editing options. 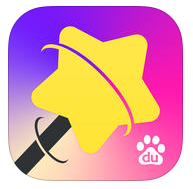 The app includes more than 194 photo effects, lots of filters, photo effect creation tool, drawing tool , color splash tool, signature and water mark adding option with text tool, social sharing options and many other useful features. With the help of FX Photo Studio, you can easily convert your simple photographs into stylish images. Great application to add beautiful effects to your photos. 7. Photo Wonder ( iPhone ) - If you are looking for free photography app for your iPhone, try Photo Wonder that comes with all of useful photo editing related features such as photo editor, collage maker, camera filter, photo stickers and more. Very useful app that comes with lots of useful options and helps you make your photos more attractive. The app allows you to edit your photos, beautify your skin and face, add beautiful photo frames, create beautiful collages by using powerful collage maker and shoot perfect photos like pro by using real time camera effects. Recommended app for everyone. 8. 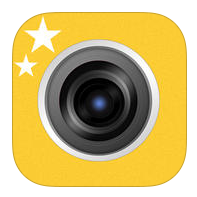 TimerCam ( iPhone ) - Very useful camera app that lets you take perfect photo of yourself. One of the best self timer camera apps on the App store that helps you capture perfect photo. The app comes with selectable flash modes with timer options. 9. Color Effects ( iPhone ) - If you want to change color of your photos or want to change color of your dress, try Color Effects. Color Effects is a very useful photography app that comes with a unique function that helps you change color of your photos. The app can be downloaded free of cost from the Appstore. 10 PicPro+ ( iPhone & iPad ) - PicPro+ is a very useful photo editing app that allows you to add different types of photo filters, photo effects, realistic stickers and text on your photographs. You can also create photo collage with the help of this app. PicSense includes lots of stickers which can be used to create funny photos or change your look completely. The app contains different types of photo stickers such as moustaches-beard, hairstyles, hats, eye glasses, stylish hats and more. You can share your created photos with your friends on Facebook, Instagram, WhatsApp, Twitter & other social platforms.